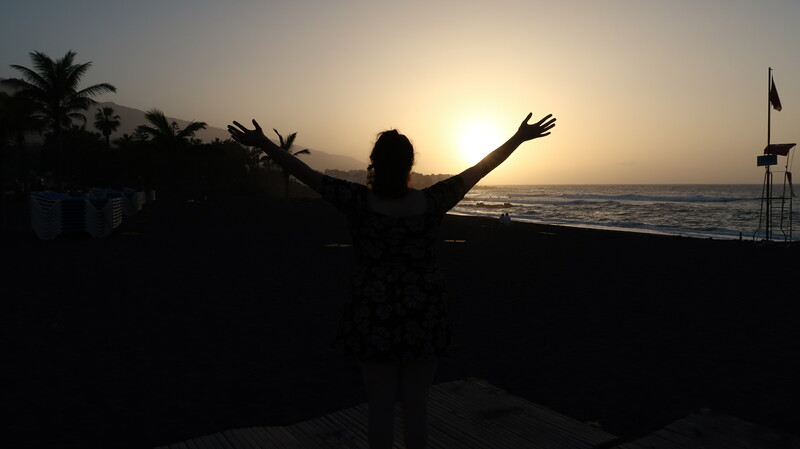 Last week, I headed to Tenerife for a few days of sun and exploring with my mum….but our fun started wayyy before we landed thanks to Aspire Lounges. Having never visited a lounge before, it was a whole new experience of airport luxury. 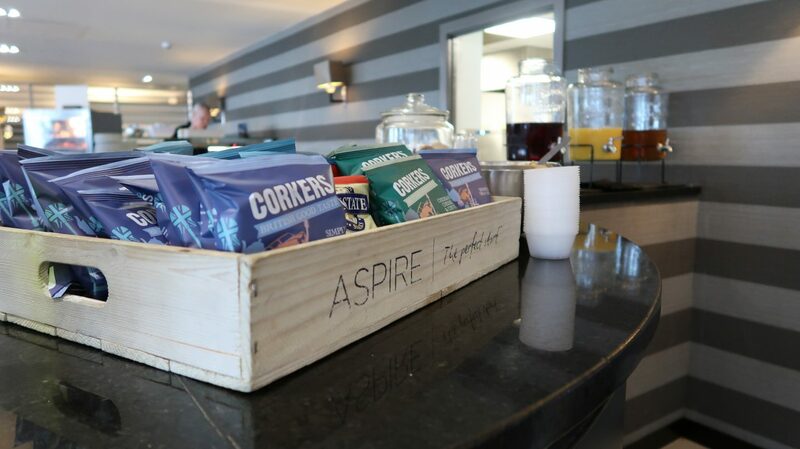 Away from the hustle and bustle of the terminal, Aspire Lounges offer complimentary food, drinks, wifi and newspapers, all while looking out at a spectacular view of the runway . Entry to the lounge is £21.99 and is well worth the price. 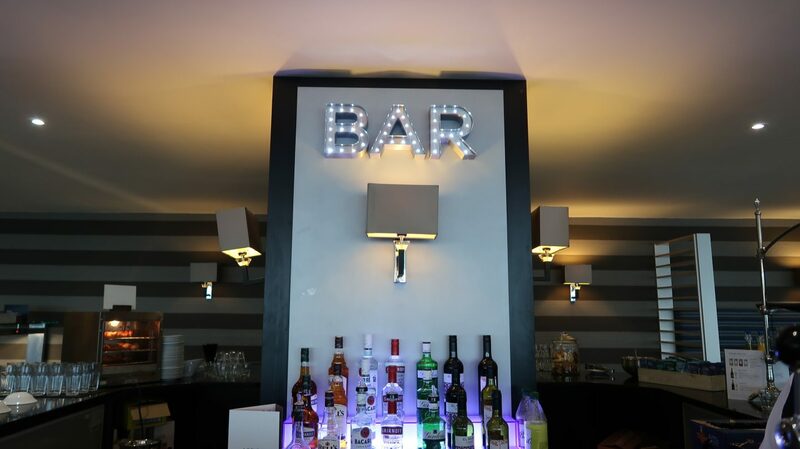 We flew from Manchester Airport on a Sunday afternoon, arriving at the lounge at 11.30am, which is located above the shops. 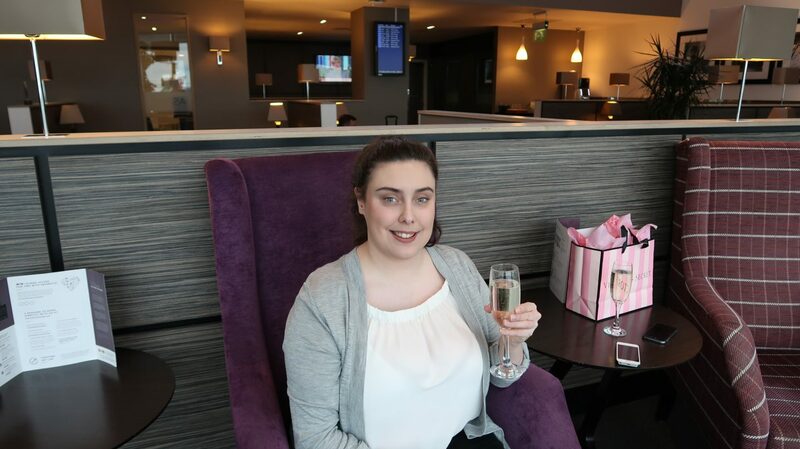 The ladies on reception were lovely and explained the lounge’s features to us before handing us a couple of vouchers for a glass of complimentary prosecco. Choosing a seat next to the window to admire the view, we ordered our drinks and grabbed some lunch. There was soup, sandwiches, salad and various snacks to choose from. 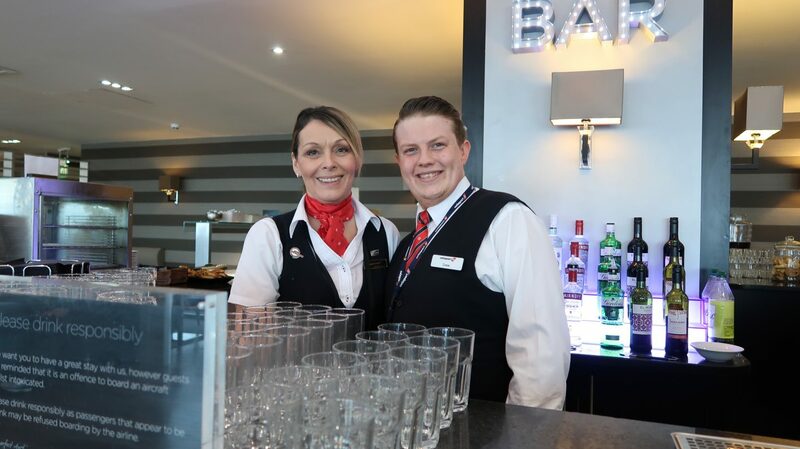 Our time absolutely flew by and I found myself feeling a bit sad that our flight wasn’t delayed just so we could spend some extra time in the lounge! 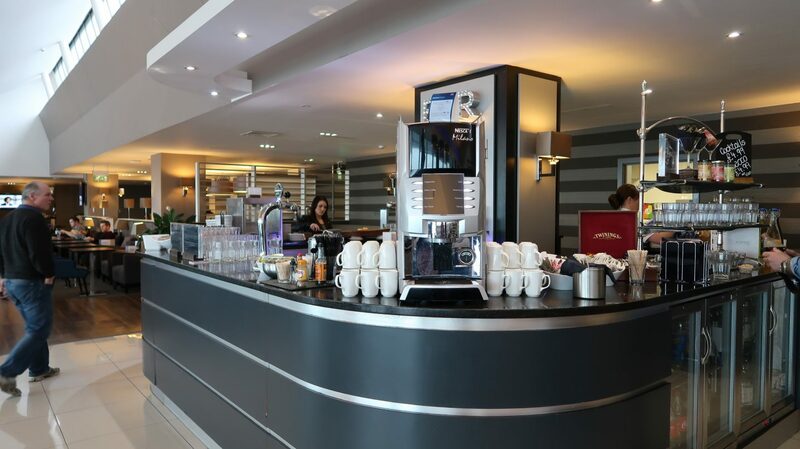 The time spent in the airport trudging round to find empty seats amongst the chaos usually drags on and feels like a lifetime, but having the extra little treat of an executive lounge made all the difference. 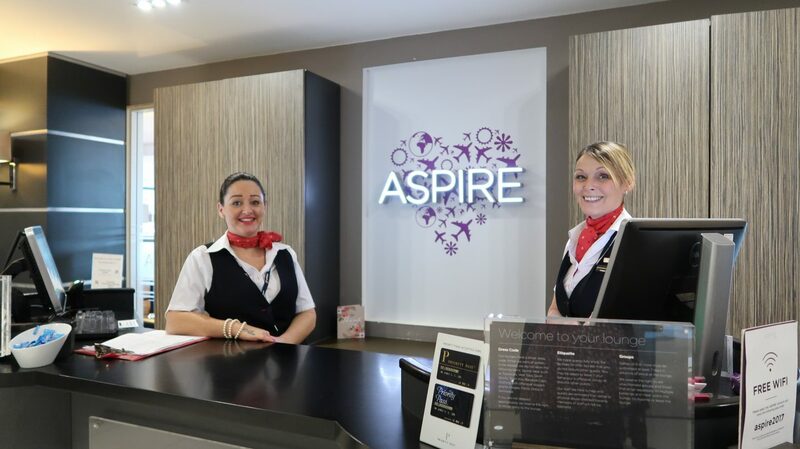 I would definitely recommend booking yourself into the Aspire Lounge, especially if you’re flying long-haul. 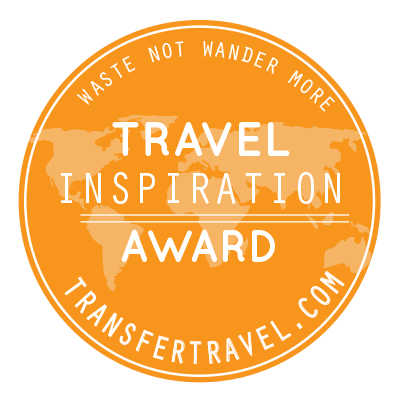 It really does kick start your holiday and makes a huge difference. 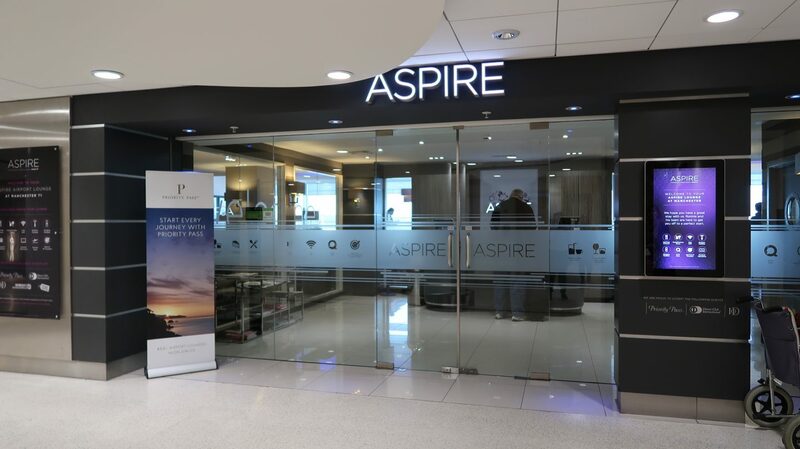 Aspire Lounge is going to be my new airport go-to and I’m already planning on booking in for my next getaway in Summer! Amazing lounge decor and what a great way to have fun before heading onto air!